Abu Dhabi: Abu Dhabi's blue-chip investment giant Mubadala is open to acquisitions in real estate to broaden its portfolio. “Being an investor, we are open to any acquisitions or monetization at the right economics,” said Ali Eid Al Mheiri, executive director of real estate and infrastructure at Mubadala Investment Co.. “If someone comes and offers to buy one of our towers at the right price, I will monetise. The comments come as Mubadala acquires the Galleria Mall on Al Maryah Island in Abu Dhabi. The total value of the deal is not known, but Al Mheiri said they completed the transaction with the developer Gulf Related three weeks ago. We are focusing on real estate investments in the UAE and outside. Whether it is in Abu Dhabi or New York, we would look at the same thing. Al Mheiri said the Abu Dhabi market is going through a correction but expects it to pick up beginning 2020. “We’ve seen rental prices coming down, at the same time we see good sales volumes happening in last year’s Cityscape and, hopefully, this year too. I believe that we are coming towards the bottom of the cycle. On global expansion, he said they are currently focussing on commercial, residential and logistics projects in the US, Europe and Asia. “We continue to invest in those markets,” he said without divulging further details. 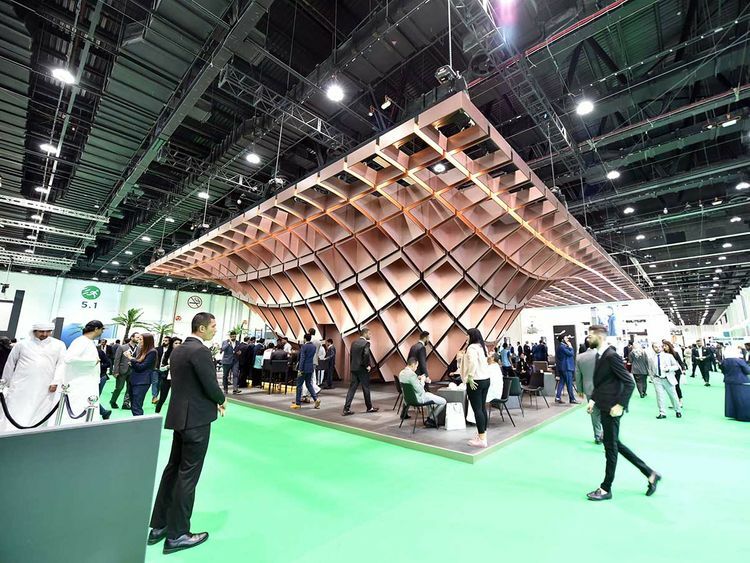 Mubadala is showcasing its expanded residential portfolio, including the Lamar, a waterfront development at Al Raha Beach, and The Wave, a mixed-use development adjacent to the marina waterfront promenade on Al Reem Island.